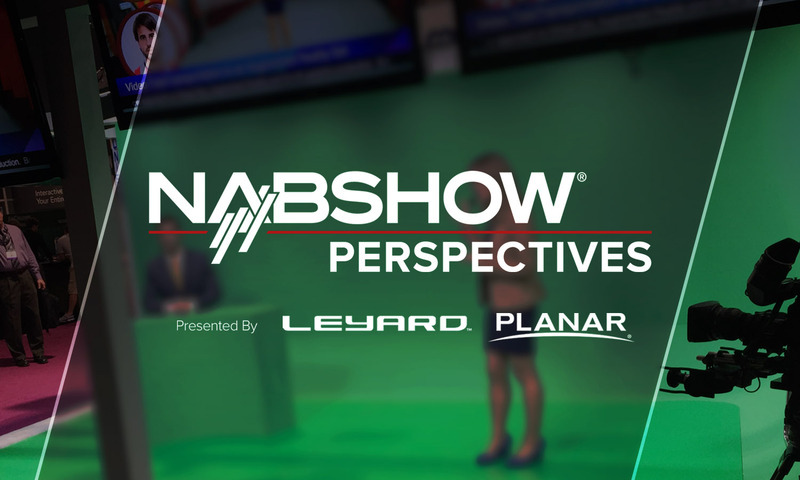 In the fourth installment of our NAB Show Perspectives roundtable series, part of our NAB Show Central coverage, we ask what creative production challenges are present in the broadcast industry today. This roundtable pairs with our previous one on engineering challenges. As with our previous posts, the panel is made up of a large cross-section of broadcasting industry vendors touching all parts of production and engineering. “The biggest creative challenge is scalability – the need to create more for more channels and platforms. As I mentioned before this is a challenge for not just creating content, but creating content that maintains a high level of quality with custom branding,” said Petter Ole Jakobsen, our founder and chief innovation officer at Vizrt. “Customization and flexibility will be key. We find that many of our partners are seeking specialized solutions or innovative designs in order to enhance their programming and storytelling. Flexibility, both from a product and business standpoint, is key to keeping viewers engaged. LED technology can quickly change the tone of a customer’s story and trends such as HDR, 4K and 8K resolution, or AR and VR can play an instrumental role here. In addition, we continue to see industry demand for lightweight displays, which is why we introduced Leyar CarbonLight LED Displays and the new Leyard® CarbonLight™ Rental and Staging Accessories, as well as bezel-less LED video walls and front service access, especially in cases where space is limited,” said Kathy Skinski, GM of broadcast and media at Leyard and Planar. “Choosing the right tools for telling your story might be harder than ever. For example, there are so many camera choices in the market today, from handheld cameras with fixed lenses to shoulder-mount cameras with interchangeable lenses, plus drones, PTZs, action cameras, and more. You also have a choice of frame rates and recording formats, including SD, HD, 4K, and 8K. Are you shooting for today’s audiences, or do you need your footage to be future-proofed? It’s not always an easy decision,” said Craig Yanagi, national marketing manager, JVC Professional Video. “It has the be on the graphics side. Broadcasters have a traditional tight workflow with the likes of Viz, Chyron etc but they have to make compromises if they want to include photorealistic graphics from the games engines. It’ll be interesting to see if the likes of Epic allow for data integration to the same extent as the traditional graphics companies and how that will change the landscape,” said Phil Ventre, VP of sports and broadcast for Ncam. “Now that the technology is lifting a lot of constraints, creatively the biggest challenge is deciding how to best convey complex information. When broadcasters can incorporate high quality mixed reality visuals, they can deliver a lot more information to the viewer in new ways. For instance FOX Sports’ new NASCAR virtual studio can illustrate instant 3D analysis of both cars and racetracks in ways that have never been done before, which provides a more engaging experience for fans at home,” said Marc Petit, general manager Unreal Engine at Epic Games. “Creatively, broadcasters are currently challenged with engaging audiences more than ever before. With the explosion of social media and streaming, as well as virtual reality (VR), augmented reality (AR), etc., there are a variety of competing consumption platforms, and the bar has been raised visually. It’s no longer a matter of just delivering compelling news; broadcasters need to deliver compelling visuals as well to help keep audiences informed, engaged and coming back for more,” said Bob Caniglia, director of sales operations in North America for Blackmagic Design. “There does not seem to be an end in sight for new formats and the growing volume of content that production environments, including news, have to deal with. The range of choices does generate opportunities creatively, so workflow tools that can help organize and streamline processes to enhance accessibility are becoming more important,” said Andy Warman, director, playout solutions at Harmonic Inc.
“It has to be creating a user-friendly way of navigating the complex video pipeline. It doesn’t matter how technologically advanced the system is. If it is difficult for broadcasters to work with the system, it’s not going to get used,” said Josh Cetnar, business development specialist at Videon Central, Inc.
“The biggest one would be creating and managing content at the speed that it needs to be done today, and for increasingly segmented audiences, based on their preferred screen and even their ideal time for content consumption. And the main touch-up here is not only being able to do it with VoD or OTT platforms, but also with traditional TV. This area has a lot of potentials and the industry still has much room for improvement, especially with the help of new technologies for media management making their way, such as Artificial Intelligence tools,” said Patricia Corral, marketing director for VSN. “In daily production, the biggest challenge remains how to tell highly visual stories quickly. With amazing communications tools like AR/VR, how can workflows speed up, be editorially accurate and convey information with greater clarity? This is where creative, editorial and technology have to work more closely together to develop the processes to really engage audiences, especially in breaking news situations. It would be great if technology partners truly embraced the editorial and creative components to partner and deliver new solutions,” said Vernon Freedlander, head of strategic partnerships at Bannister Lake Software. “I think broadcasters need to make sure that they are providing content that is interesting and catches the eye of millennials. This means very dynamic content and visuals that engage younger viewers across all platforms – knowing that the majority won’t be watching it on a television set,” said Brian Olson, VP of product management at NewTek. “On the creativity side, we are seeing an increased speed of production as a result of cloud-based workflows. This has an effect on the editorial side as it does not factor in any extra time to be more creative, from the review perspective as well as creatively assembling these clips together. An efficient MAM system and the use of metadata helps to streamline the process in identifying usable clips early on, but being able to creatively tell a story by piecing these clips together takes a creative eye, and time,” said Jonathan Aroesty, president of Pronology.